Hearthkeepers is a WONDERFUL community of gals online. I’m so blessed to be a part of it. They have all sorts of fun things going on, a Birthday Exchange, card exchanges and so on. I wasn’t going to participate this year in the Christmas Gift Exchange for various reasons, but I was blessed by another HK’er so I was able to! The really fun side of the story is that Heidi had ME as a giftee! Her son makes wonderful hand beaded dragons. 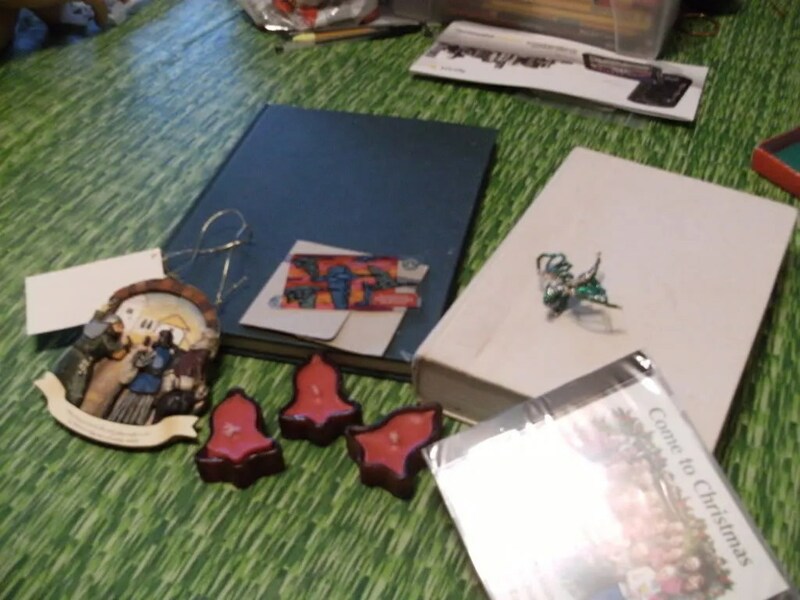 (If you haven’t noticed, I’m a bit of a dragon freak, to my husband’s distress) Along with the wonderous little creature, I also received a FIRST EDITION of Anne McCaffrey’s Dragonsdawn, a wonderful whole foods cookbook, a Starbucks gift card, an ornament and a Christmas CD. HOW BLESSED AM I???? I must ask? My boys were also excited to get a small packet with kite paper and instructions on making origami stars. We should have 27 of them by week’s end. Beautiful!